Economic Ladder; The Wages That Poor And Working-Class Whites Pay For The Worthless Pride That Flows From Whiteness. You are here: Home / News / Economic Ladder; The Wages That Poor And Working-Class Whites Pay For The Worthless Pride That Flows From Whiteness. The problem of the twentieth-century will be the problem of the color line. On second thought, the greatest mind ever created by the American academy may have very well been issuing significant commentary regarding “whites” when he advanced this reverberating statement; we may have been too dimwitted to catch what he meant. During a recent review of Du Bois’Black Reconstruction, the students in my senior level African-American Studies reading course noticed a peculiar occurrence in the decade following the U.S. Civil War. The revelation was articulated by one student in the following way. 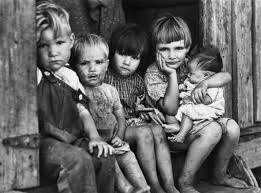 Why does it seem that poor whites, meaning sharecroppers and those with menial labor skills, shunned poor black sharecroppers, laborers, and farmers in favor of a white aristocracy whose sole goal was to exploit them politically and financially. My response to the above assertion was sobering audible thought that “those are the wages of whiteness for poor whites.” What I hoped to convey was that historically there has always been a population of whites whose comfort with occupying a social space above blacks muted the fact that they remained mired in excruciating poverty as victims of corporate greed facilitated by white elites devoid of a semblance of racial loyalty. As I finished my statement, another student asserted the following. That is still going on to this very day. There is no other explanation for why white workers would support a man who has made his fortune off of their backs through some of the most despicable business practices that we have ever seen. All he has to do is bring up something about Blacks or Mexicans and they fall right back in line. It’s an amazing thing to see. Although it would be false to state that I did not possess poignant political views regarding these political and socioeconomic matters, perspectives that were impacted by racial matters, there is nothing that pleases me more than when my students display their ability to observe, analyze, and make logical decisions regarding substantive matters that should not be solely determined by superficial racial loyalties. In a nation where socially constructed racial paradigms mean so much, it is a Herculean task to get Americans to weigh issues other than Race. Most are shocked to learn that I shun efforts to get African-Americans to vote as a bloc solely because of Race; I prefer that we develop the ability to make intelligent decisions in our best interests (individually and collectively) as it is the best use of the franchise. If only we were able to get non-elite whites who have historically been swindled by a powerful elite populace whose politico-economic interests have never coincided with that of poor and working-class whites to do the same, the American political terrain would transform overnight. It is only through the de-emphasis of racial matters and accentuation of class among whites that the ability to shift this nation’s heart of stone into one of flesh is found. However, I will not hold my breath in regards to “whites” developing the political maturity to understand such important matters because, for many of them, Race is all that they know. And that probably will not change in my lifetime. William Edward Burghardt Du Bois was an American sociologist, historian, civil rights activist, Pan-Africanist, author, writer and editor. Born in Great Barrington, Massachusetts, Du Bois grew up in a relatively tolerant and integrated community. After completing graduate work at the University of Berlin and Harvard, where he was the first African American to earn a doctorate, he became a professor of history, sociology and economics at Atlanta University. Du Bois was one of the founders of the National Association for the Advancement of Colored People in 1909. Dr.Du bois was a man of his time and he certainly did have whites, and chiefly the global activities of whites as his central focus prophesied that “the problem of the twentieth century will be the problem of the color line .” Dr. Du Bois was chiefly educated within the foundation of a German empirical scientific educational pedagogy closely akin to that which educated thinkers like Karl Marx, and Werner Von Braun,the father of rocket technology and space science in the United States today. To infer that poor whites are acting unresonably given the fact that they too are disadvantaged by the affluent white in America is a mis-reading of the polittical dialectic functions of a pluralistic democracy with its capitalistic economic base. All of the formulation of the politicality of the United States of America has its roots in Western European or German thought partially contemporarily expressed through Jewish Germans like Albert Einstein and Von Braun. The whole of Dr. Du Bois’ education was within the circumference of white pedagogy.Whites in America, both poor and rich have embarked on profit making ventures and took their chances at getting rich ( reason for sharecropping with freed slaves before and after the Civil War ) within political systems that they conceptualized. The white races of Europe benefit in America by virtue of just being white. Dr. Du bois had to train his mind to think as a white man and was awarded a doctorate degree from white thought facilitating universities for his efforts. None of us who can claim being educated today can escape the reality of the origins of this education and its effects on our daily behaviors as American citizens.